Major cryptocurrency exchange Binance launched Binance Lite Australia (BLA), a cash-to-bitcoin brokerage service available through a network of 1,300+ supported Newsagents across the continent. Their fees structure - 5% transaction fee plus Goods and services tax (GST) (10%) on commission - has become the main topic of discussion. 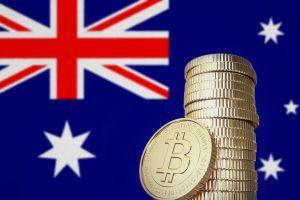 At this stage, buyers can purchase bitcoin with AUD, only. BLA, which is operated by InvestbyBit, a subsidiary of Binance, plans to support more digital currencies and fiat purchasing options in the unspecified future. "Upon account verification on www.binancelite.com, Binance Lite Australia users can place an order online and successfully deposit cash at the nearest Newsagent store, to receive crypto within minutes," the company explained in a press release. However, Bitcoin Australia charges even bigger transaction fee (7%) plus GST on commission on bitcoin purchases via Newsagent with cash, according to the website of the company. As reported, Australians have been able to buy bitcoin and ethereum for fiat in more than 1,200 newsstands all across the country since March 2018. Bitcoin Australia was not available for immediate comment. In either case, Twitter users have started posting videos and pictures of them using BLA's services. "We are excited to continue to roll out more fiat to crypto gateways around the world to support the growth of our industry," Wei Zhou, Binance Chief Finance Officer, was quoted as saying in the press release. In January of 2019, Binance integrated credit card payments on Binance.com and launched Binance.je, a fiat-to-cryptocurrency exchange for trading euros and british pounds with BTC and ETH. Fiat gateways launched by Binance also include Binance Uganda, an exchange supporting the trading of Ugandan Shillings for cryptocurrency. Also, as reported in November 2018, French fintech company Keplerk made it possible for tobacco shop customers in France to buy bitcoins. 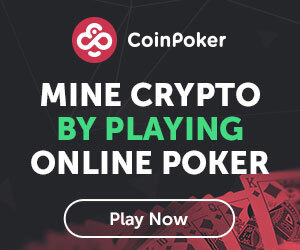 The initiative affects 24,000 tobacco shops in the country where bitcoins will be offered as vouchers, which can be cashed in via Keplerk’s wallet. The company will take a 7% cut on every transaction as commission fees.